The difference we make is significant and won’t go without being noticed. The following is a list of some of the services we offer: animal damage repair, bird control, bug problems, dead animal removal, removal of feral cats, spiders, bees, trapping, raccoons, skunks, beavers, woodchucks, muskrats, deer, fox, snakes, coyotes, groundhogs, chipmunks, squirrels, bats, opossum, and birds. 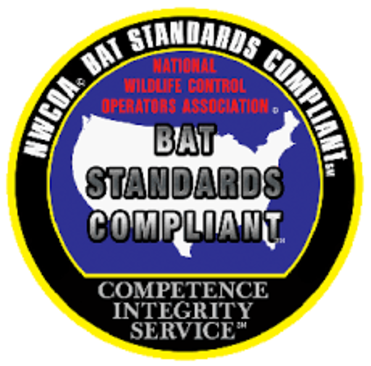 We are Virginia’s and North Carolina’s trusted nuisance wildlife control services! Our wildlife removal professionals are licensed and insured for your protection and comply with all laws regarding wildlife control and wildlife removal in the state of Virginia and North Carolina. They are equipped to handle any kind of animal, pest and wildlife removal problem such as opossum removal and control, bat removal and control, squirrel removal and control, raccoon removal and control, snake removal and control, skunk removal and control, bird removal and control and many more nuisance animals. We guarantee fast and reliable work and 100% customer satisfaction. The trapping and relocation of nuisance animals is always the best and most humane method. If you are having problems with groundhogs (aka. woodchucks), squirrels, opossums, or other destructive nuisance animals contact one of our offices to discuss what avenue is the best to take. 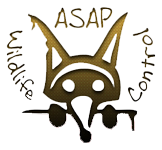 Our methods of wildlife control are highly effective and efficient, and whatever your animal problem is you can rest assured that ASAP Wildlife Control and Removal can handle it. We offer full service bio-hazard cleanup and disposal of droppings, urine, hair, and a variety of other harmful and odor causing substances. Wildlife has been removed from your home and the fixes are complete. What about the odor that was left behind ? We offer decontamination and deodorizing services to eliminate this odor and bio-hazard. The following are some of the services we offer: Snake removal, hornet removal, honey bee removal, bat removal, squirrel removal, and woodchuck removal.